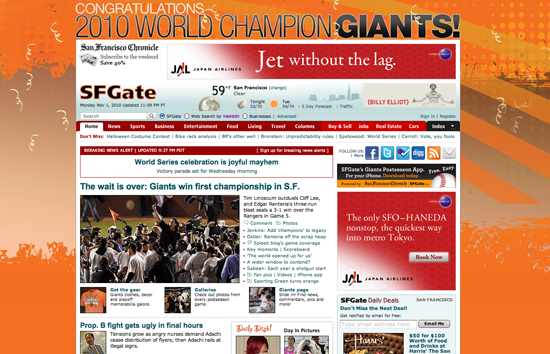 The Giants are World Series Champions!!! WOO! 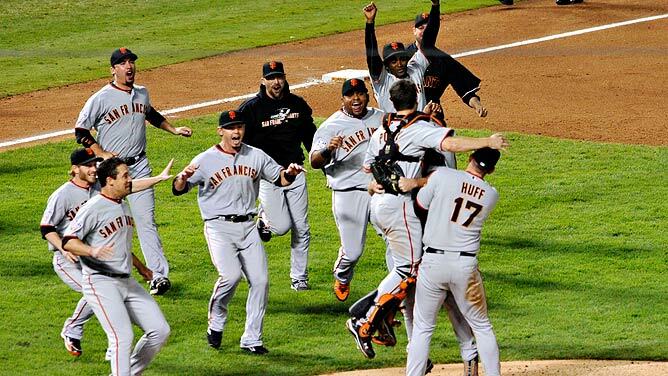 At Long Last the Giants won their first title since 1954 by knocking off the Rangers in five. Renteria blasted a three-run shot off Cliff Lee, earning him the MVP. The victory parade is scheduled to begin at 11am Wednesday morning, and will start at Montgomery and Washington. 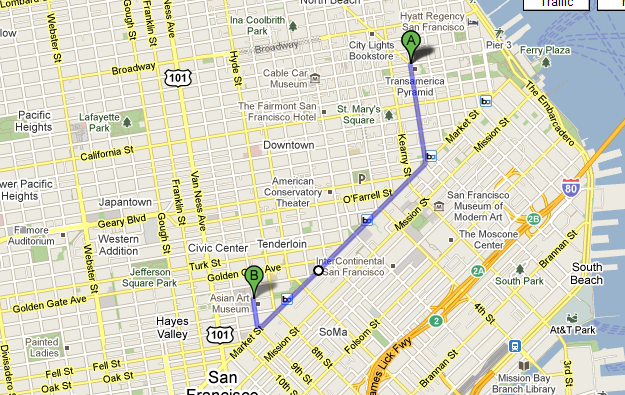 From there it will head southbound along Montgomery until it hits Market Street. At Market, it will turn west until it hits Civic Center Plaza. Find more info on the parade on SF Gate.